Today’s project is 2015 & 2016 Mutual Theme Pendants! 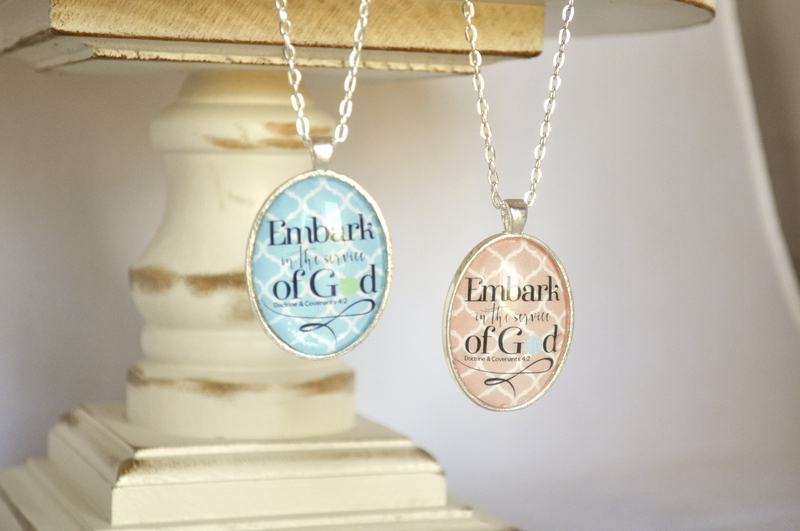 A sweet reader asked if I could make some prints with the 2016 Mutual Theme for her to put into 30x40mm pendants. 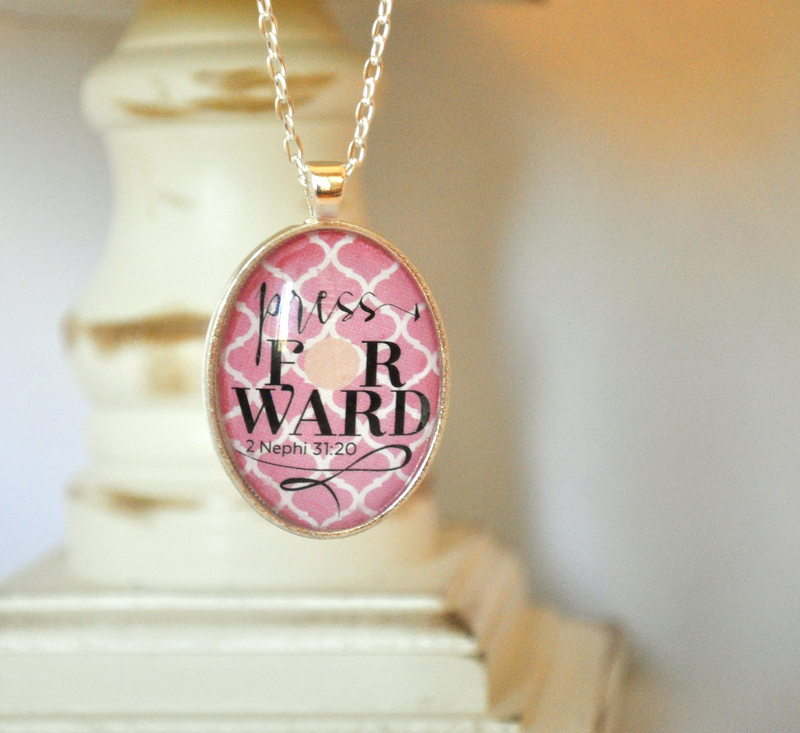 I took this project one step further and made designs for both the 2015 “Embark” AND the 2016 “Press Forward” themes! When my 12-year-old daughter saw me making these, she wanted to make one for herself–she even wore it to Church on Sunday! You can also find a ton on Ebay and Amazon, just search for 30x40mm oval pendant kits. 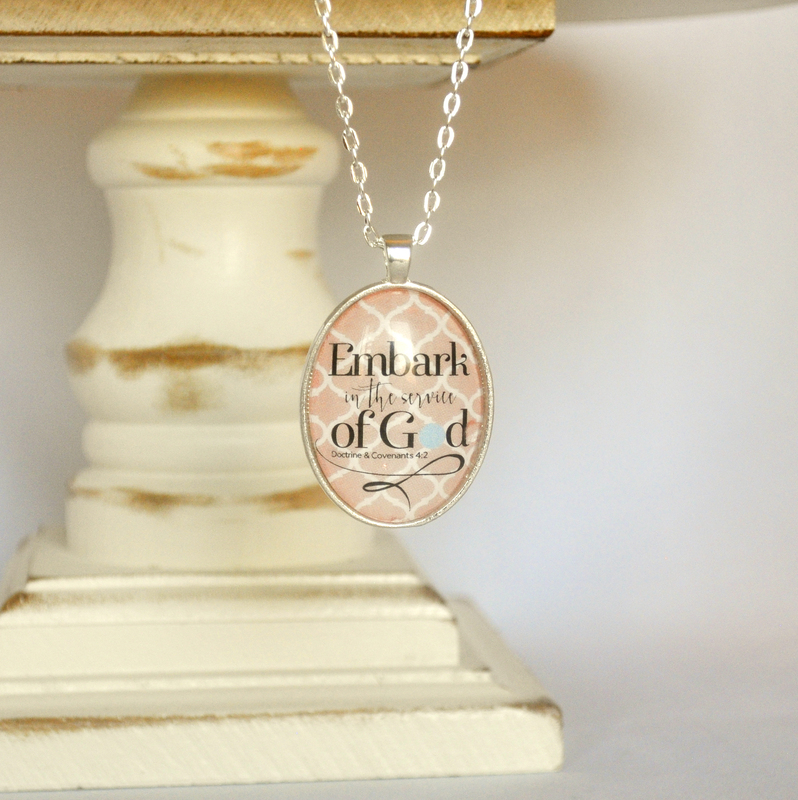 In addition to the 30x40mm pendant trays, glass cabochons, and chains, you will need to purchase glaze. Both LillyD’s and Sun and Moon sell it. I have ordered supplies from both of these companies and they are both quick and awesome to work with. 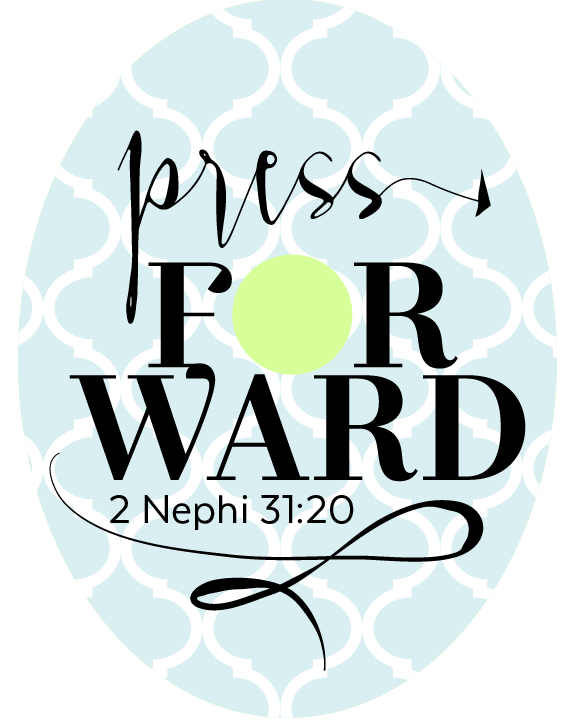 My download includes 8×10-inch JPEG files with 30x40mm ovals in both the 2015 & 2016 Mutual Themes and in eight different color combinations, which coordinate with my YW Values Now Collection printables. You can download my YW Values Now Collection 30x40mm Pendant Prints here. Next Three 2016 Sneak Peeks! YOU ARE ABSOLUTELY AMAZING!! Thank you soooo much!!!!! Thanks for the idea, Pesi!! You’re welcome! Thank you so very much for your kindness and generosity in sharing your amazing talents. Hi!! I love these ideas that you have!! One question: how do we UNZIP the file so that i can access them?? Thank you so much for sharing your talent! You are so awesome! I have actually downloaded everything you have in here!!! 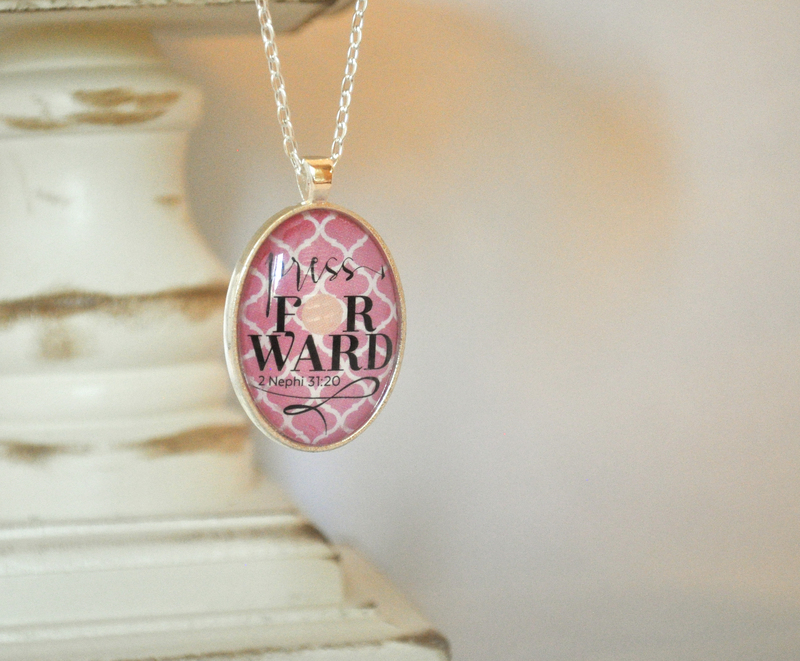 I love the 2016 YW oval pendants you have posted. I have ordered the necessary materials from Lilly D’s and I just got them today! I have finished making 10 necklaces and have 10 more to go. You just don’t know how much your generosity has helped me and the YW in our ward here in the Philippines! Again, thank you soooooo much!!! Awww…I am humbled to be able to serve the precious YW in your country! 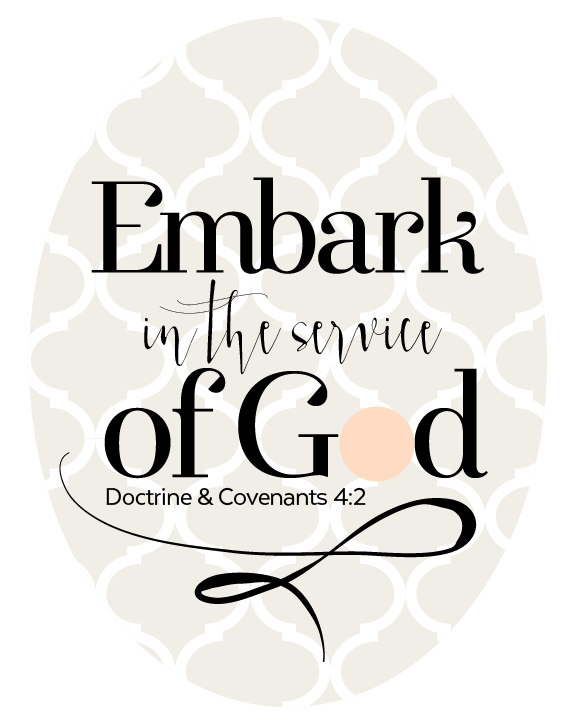 I just ran across your website…i’m in love! Thank-you! Thank-you! Thank-you! You are so talented and kind to share with us Young Women leaders free of charge!